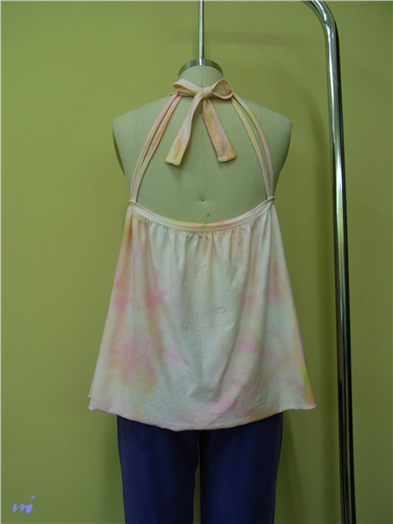 I tried to tie-dye the garments which I sewed. 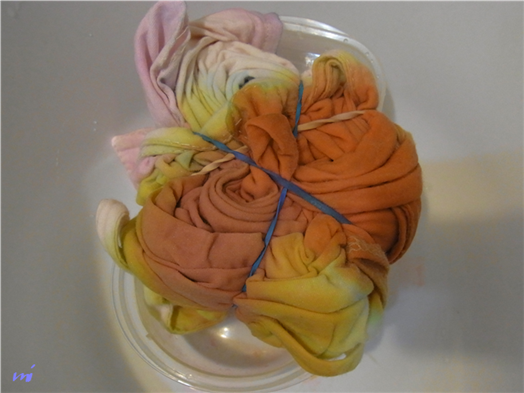 I googled how to tie-dye and I tried it. 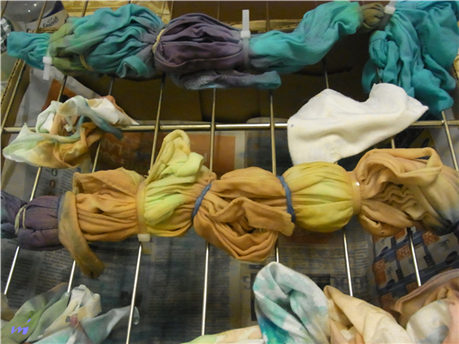 In the result, the garments were losing color, especially yellow and green, and the color was getting lighter after I rinsed them, so I couldn't remain the original color that I put on the garments. 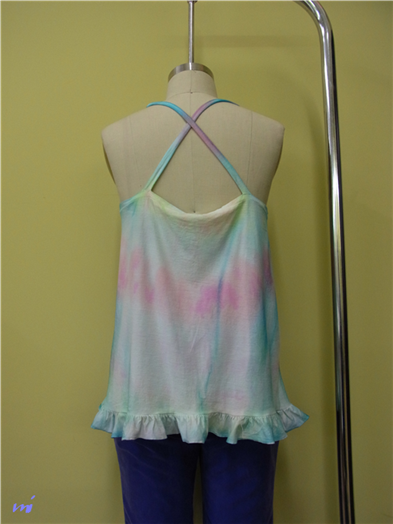 I tie-dyed one of them once again, but I couldn't get the color I wanted again. 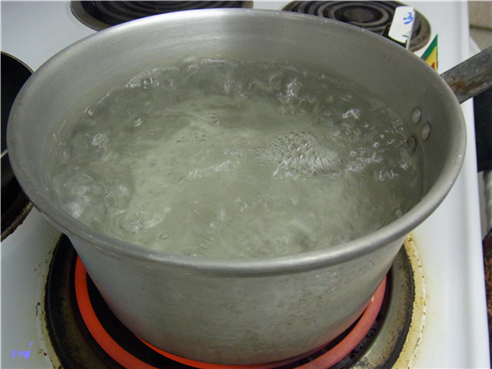 I googled how to tie-dye again and I knew that I might have needed to heat up the garments in a microwave after I put the color water on the garments. 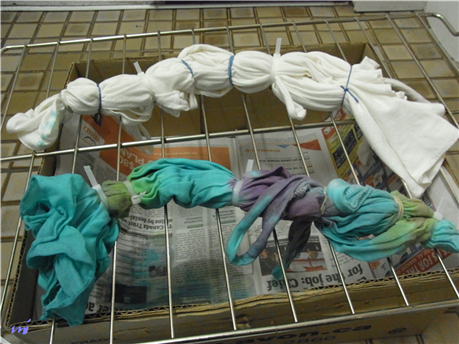 I used food coloring, vinegar and boiled water in order to tie-dye. 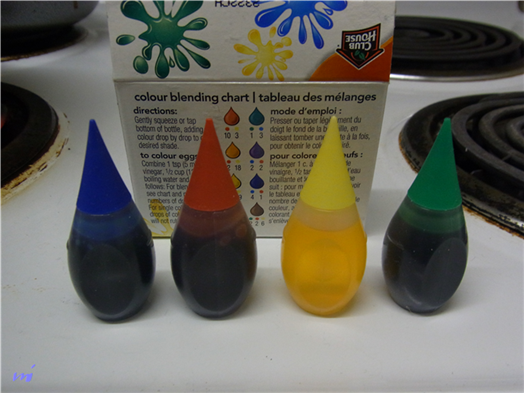 There are 4 basic color in the food coloring box. I mixed food coloring, vinegar and boiled water, and made turquoise, purple, dark green, brown and dark yellow color water. 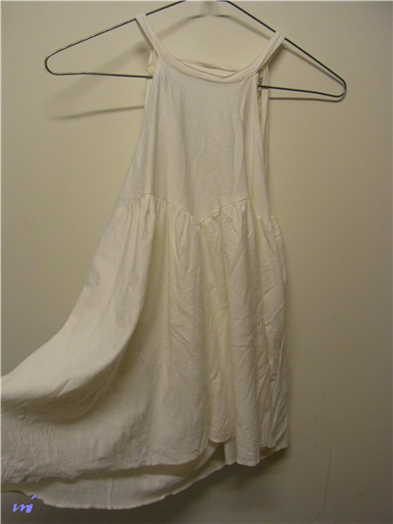 I tied the garments by elastic and plastic bands. 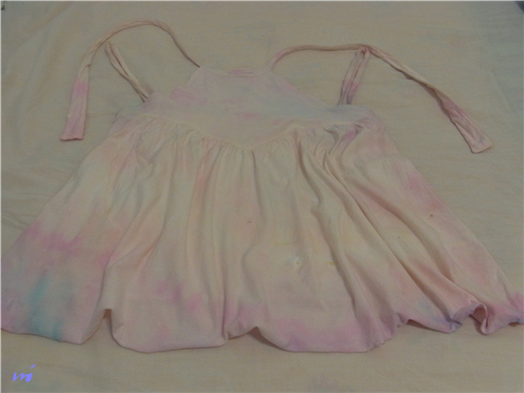 I put the color water on the garments and made them dry. After a few days, I rinsed them.